The Home Instead Senior Care network has been delivering in-home care for over 20 years. All of the highly trained CAREGivers℠ are bonded and insured for peace of mind. They offer many different types of in-home care that can be individualized to meet the needs of any family members. Home Instead Senior Care developed the highest quality dementia caregiver training program available. They have helped change the way people live with Alzheimer’s and other dementias. As the Home Instead Senior Care network grew, they saw first-hand the old reality of aging and they set out to change that. Their mission is a future where all people could age with greater hope and success. They strive to make that mission a reality with every life we are privileged to touch. Neither giving nor receiving care is easy. Home Instead Senior Care® puts relationships first to support those giving care, to protect the dignity of those receiving care, a​​​​​nd to enhance the quality of life for both seniors and their families in every caregiving experience. ​Home Instead Senior Care offers affordable in-home care services 24 hours a day, 365 days a year. The family will work with a care coordinator at the local office to set a care schedule that works best for the entire family. Rates depend on your specific care needs and vary by location. From personal care services to hospice care support and many care needs in between, the local Home Instead Senior Care offices offer a broad range of services that can be tailored to meet your family’s unique needs and preferences. While the tasks of each service might differ, the goal for all types of care remains the same: To enhance the lives of seniors and their families. ​Conditions like dementia or arthritis may come with unique care challenges, but the Home Instead Senior Health team can help. Their specialized training programs equip Home Instead CAREGivers to help seniors cope with their condition while maximizing their capabilities. 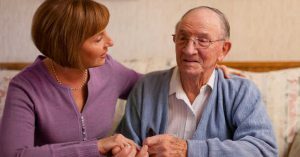 Home Instead Senior Care services can help meet a variety of care needs related to Alzheimer’s disease, dementia, arthritis, Parkinson’s, diabetes, depression, and other conditions.